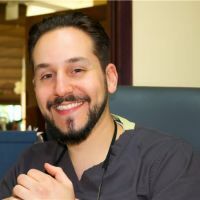 Dr. Andrew Sarowitz is the Clinical Coordinator and Director of Implant and Advanced Laser Dentistry for Community Dental Care of NYC and the Dental Director of mediDental Healthcare. He's a member of the American Academy of Implant Dentistry as well as an Associate Fellow of the World Clinical Laser Institute. He also serves as part of the medical staff of the Brooklyn Nets as their Official Dentist. While not working with the NBA, Dr. Sarowitz is happy treating patients at his offices in the Bronx, Brooklyn, Manhattan and Queens. He has built his reputation as an exceptional family dentist through expert cosmetic dentistry, pain-free surgical techniques, and a calming demeanor. In addition to Dr. Sarowitz’s expertise in all areas of general and preventative dentistry, his advanced surgical training allows him to perform wisdom tooth extractions, bone grafting, sinus augmentation, and periodontal gum surgery as well as placement and restoration of dental implants. Long Island College Hospital 2010 Residency. General, Implant, Cosmetic and Advanced Laser Dentistry. Official Dentist of the Brooklyn Nets. Dental Director of mediDental Healthcare.